Loftware, a specialist in enterprise labeling technology, has acquired UK-based Gap Systems, extending its global presence and introducing a new cloud-based digital platform promising to ‘redefine’ how enterprises create, manage and print complex labeling and packaging artwork, and scale across their operations. Gap Systems is a provider of SaaS-based artwork management technology. Gap Systems has been involved in artwork management for more than 15 years, providing options to companies in the consumer packaged goods, food and beverage, pharmaceuticals and other industries. With a focus on helping companies in regulated industries achieve compliance, Gap Systems offers technologies designed to support complex packaging artwork processes throughout the product lifecycle and across a range of stakeholders. Loftware’s cloud-based digital platform combines Loftware Spectrum, which is designed to meet complex, ever-changing labeling requirements, with Smartflow, Gap Systems’ flagship product. Smartflow manages complex packaging artwork processes to maintain control, simplify processes and obtain visibility throughout the product lifecycle. Depending on their specific needs, customers can choose from a wide range of features including label and artwork design, advanced workflow, content management, certified integration, business rules, proofing, printing, and analytics. With this acquisition, Loftware said it has united complementary companies, teams and technologies. This acquisition provides customers with complete range of capabilities all in one scalable, highly configurable set of products. Available for SaaS, cloud-based or on-premise deployment, the platform integrates with existing business processes and empowers business users to manage variability with dynamic, data-driven printing to ensure greater consistency and accuracy. Organizations can now manage content, including images, artworks, warnings, translations and phrases, used for both labeling and packaging with a workflow that supports the broadest range of labels and artworks. Loftware noted that his is especially important for customers in validated environments, enabling them to minimize what have traditionally been lengthy approval and review cycles. Loftware addresses a range of customer and regulatory mandates by producing mission-critical barcode labels and documents across the supply chain, while Gap Systems controls complex packaging artwork processes throughout the product lifecycle. 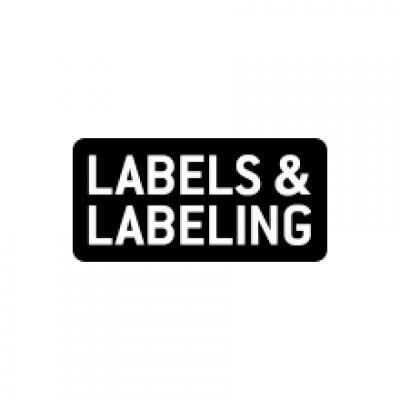 Together they address the full spectrum of labeling and packaging artwork requirements across a broad range of industries with a special focus on pharmaceutical, medical device, manufacturing, food and beverage, chemical, retail and consumer packaged goods. The combined platform—whether used for labeling, artwork management or both—enables customers to improve time to market, mitigate risk, reduce supply chain complexity, optimize costs and increase agility. Robert O’Connor, Jr, Loftware president and CEO, said: ‘Several years ago, Loftware pioneered the enterprise labeling market by recognizing the need to focus on complex, high volume labeling for large organizations. Now we are transforming the label and artwork management space by delivering this unprecedented platform.